The ingredients for a wonderful story? Two girls, one cup of words, one cup of pictures, a dash of ideas, a pinch of imagination, two dollops of merriment and lots of butter. 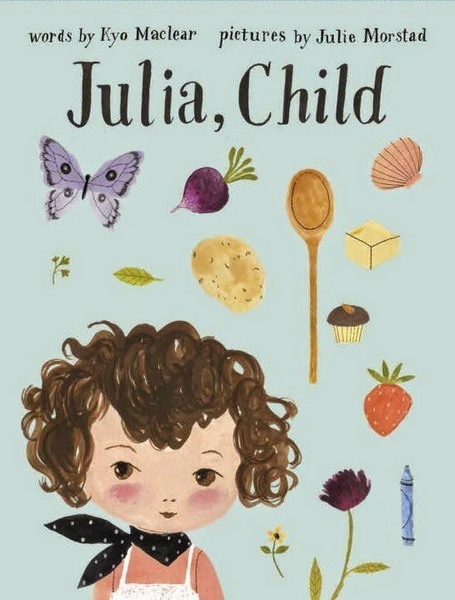 Actually, Kyo Maclear’s delightful story Julia, Child, begins with a little girl, Julia, who had a splendid meal of sole meunière. 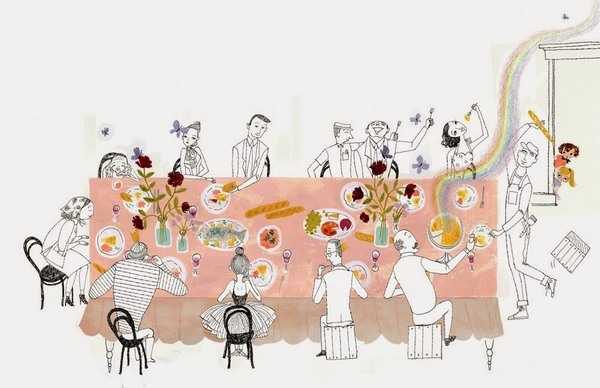 In fact, the meal was so delicious that it began a life-long love affair with French food. Julia loved to eat French food and she especially loved to cook it. “1. Some friends are like sisters. 2. You can never use too much butter. However, Julia and Simca are disconcerted by the “grown-ups who did not know how to have a marvelous time” who surround them. To the girls, the adult world seems busy, hectic and worried. They decide to create some recipes for ‘growing young’, hoping to remind the harried adults of childhood pleasures. 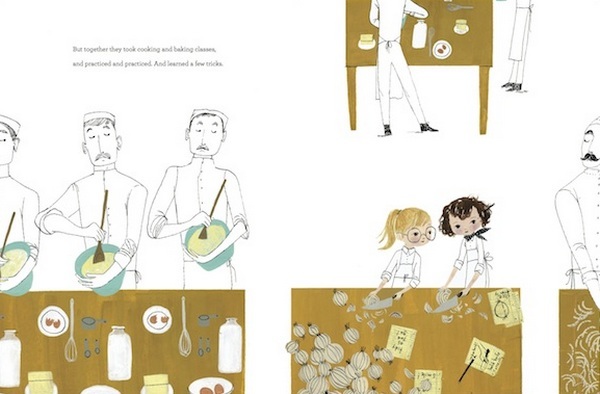 The little girl in question is of course based on famous American chef Julia Child, who is credited for bringing French cuisine to America (and the rest of the world), although author Kyo Maclear states from the outset that the story contains no true knowledge of the real Julia Child (and therefore should be taken with a grain of salt and a generous pat of butter). 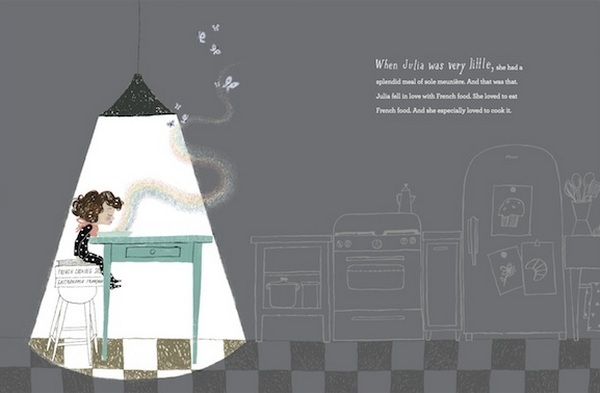 Likewise, the character of Simca is based on French cookbook author, Simone Beck, a contemporary and friend of Julia Child. 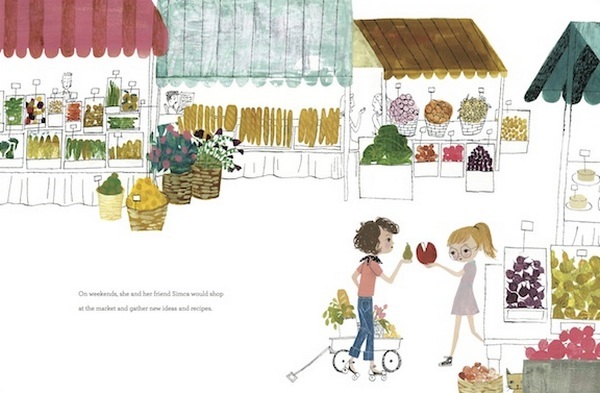 The book is illustrated by Julie Morstad, using gouache, ink and Photoshop. The results are lively – little touches, such as Julia’s almost ever-present roller skates and the rainbow-hued waft of scrumptious cooking smells keep it playful and the generous use of white space draws focus on the food. 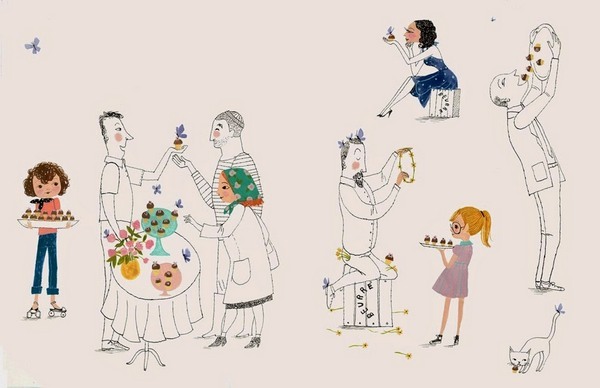 True or not, Julia, Child is a charming story about friendship, food and a reminder that we should never completely ‘grow-up’. 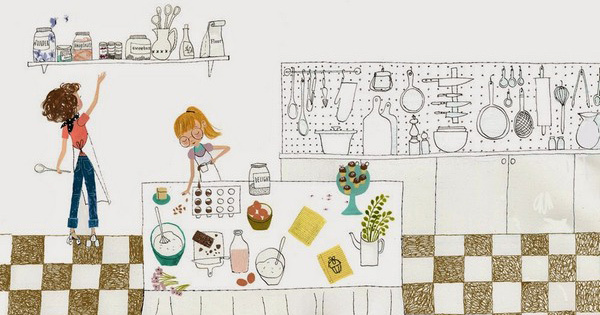 Julia, Child is suitable for children aged four years and over. Find it at Book Depository, which delivers free to Australia.